But before making an investment in a fence it is important to consider several factors and to take a look at all the available options. What purpose will the fence serve? Privacy Fencing: Depending on how much privacy you want a fence can provide either a complete or partial shield from the outside world. Security Fencing: Children and pets can be kept safely contained in an enclosed yard and to a certain extent “strangers” can be kept out. Appearance Fencing: The right fence properly installed can dramatically alter the appearance of the your property as well as add substantial value and improve “curb appeal”. What is your personal taste? There are so many choices in materials and styles of fences one of the first things you should do is take a look around your neighborhood and surrounding areas and begin to take notes of the style and appearance of fences that appeal to your own personal taste. Considering the basic architectural style of your home and landscaping will also help you make the right choice. The cheapest fence to install is not always the most economical in the long run. Considering factors such as maintenance and installation costs will help determine the total cost of a fence over its lifetime. No matter what your tastes are, your reasons for installing a fence, or the style you would like; there are three basic materials used to build fences: wood, metal, and PVC or vinyl. Each has different advantages, comes in a wide variety of styles and provides a distinctive look. Below is an overview of each of these fence materials, their advantages and some examples to check out. For the homeowner who prefers a more natural look, wood provides the opportunity to quickly and easily install a fence the look of which can be changed from time to time by simply changing the paint or stain color. Chain Link Fencing: Chain link fence is usually thought of for commercial properties, however, this is a very affordable product that is a very popular choice with homeowners who want to keep pets safe and secure. There are several varieties of chain link fence available; from the plain galvanized type, to a vinyl-coated type that comes in several colors. Also available are vinyl slats that are inserted into the body of the fence, providing additional privacy. Without the vinyl privacy slats, a chain link fence is a wonderful way to achieve a fenced in yard and yet still keep an open airy feeling around your property. Ornamental Aluminum Fencing: Ornamental Aluminum fences are an affordable alternative to traditional wrought iron fences and provide homeowners with a unique, upscale look without the high maintenance costs for yearly scraping, sanding and painting of ornamental iron. As you may have already noticed, vinyl fences are springing up all over the country. This is the fastest growing and one of the most popular choices in fence materials by homeowners all across the United States. While not the least expensive alternative, Vinyl fences offer homeowners a virtually maintenance free product with lengthy guarantees. The product is also very beautiful and has the effect of creating a more expansive feel to a property line. Color goes all the way through. Does not rot or rust. Knowing what purpose the fence will serve as you mentioned is a really good idea to ask myself before I install a fence. I have to ask myself what my budget is as well as you pointed out is also practical to know so that I’ll know what to kind of fence to buy. Maybe a PVC fencing is a good idea to install since you said that it never needs painting so I’ll ask if any professionals are willing to install one in my yard next week. 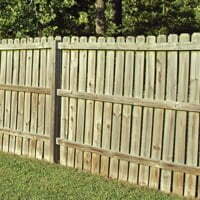 I like your factors to consider before choosing a fence. 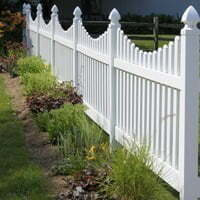 each fence is built for a different purpose and offers different benefits to the owner. My wife and I are mainly looking for a fence for the appearance benefits, so we’ll choose differently than others. Personal taste is also a huge factor in fence choice. I like how you mentioned that privacy is a big factor when choosing a fence. My husband and I want to put a fence in, and we mostly want it so we have some privacy from our neighbors. We’ll definitely choose a fence style and material that will work well for that. My wife and I just put a new pool in the back yard. We really want to get a fence that can give us a little more privacy. I like the idea of vinyl fencing and I really like that I do not have to paint it. Does it come in a variety of colors? I would love it if I could get it to match my yard a little bit. Having a fence in my yard is something that I have always had and it makes me feel safer. Although, they have always been wooden fences which really go with anything but, my wife wants something a little more appealing. I think my wife might like vinyl fences because they never need to be painted and that it is maintenance free as well. I’ve been looking for a new fence, but haven’t been able to find anything that fit the look of my home. Thanks for the information on aluminum fencing, I think this might be just what I was looking for. The low maintenance costs are also a bonus! It is interesting to see all the different materials that fences are made out of. Finding the right material can be a search. I appreciate the list of pros and cons on the fences to help me decide which one I want. Danny Please send information on “installing a lattice fence around outside air conditioner unit’. Thanks! I would like to invite your readers to read a recent article of mine “The Wizard 50”. This is a list of the most visited fence industry websites on the internet. Its a good way to see what is selling and who is selling it. Just stop by: http://www.fencewizard.blogspot.com and take a look.